It is our main goal to fulfill the demand of our clients, to preserve and to enhance their satisfaction. This is why an effective quality policy is an important part of our company. To ensure our quality we have a quality management, which applies to all levels of the company. All of our employees are obligated to contribute to the realization of our quality policy. We want to optimize already proven processes and use our longstanding expertise for your orders. It is our goal to completely fulfill your requirements as our client and to constantly improve our quality in order to uphold and strengthen the success and reputation of our company. Our employees are very important to us. A fair salary and a good work atmosphere are the foundation for achieving a positive work environment. We are verified according to DIN EN ISO 9001ff:2008 since 1997. 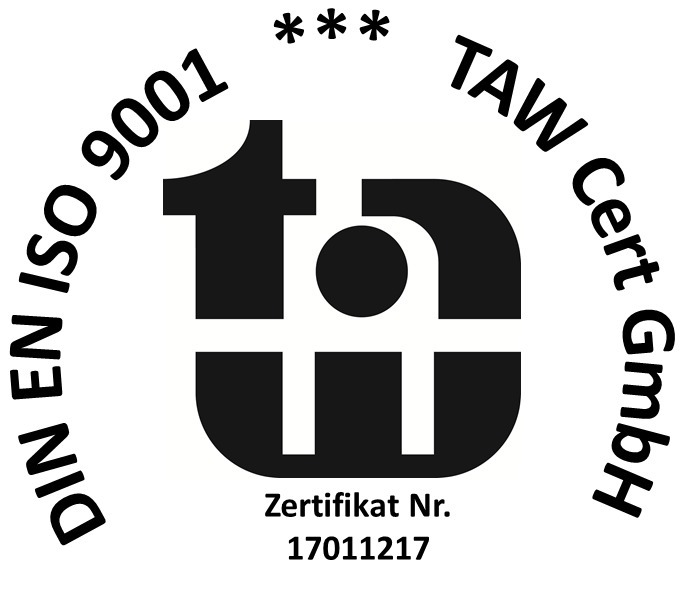 In february 2017 we successfully converted our certification to the new standard DIN EN ISO 9001:2015. We are of course able to issue production protocols with coating thickness measurements and initial sample inspections. We regularly examine our electrolytes in our on-site laboratory, in order to ensure a constant method of operation.